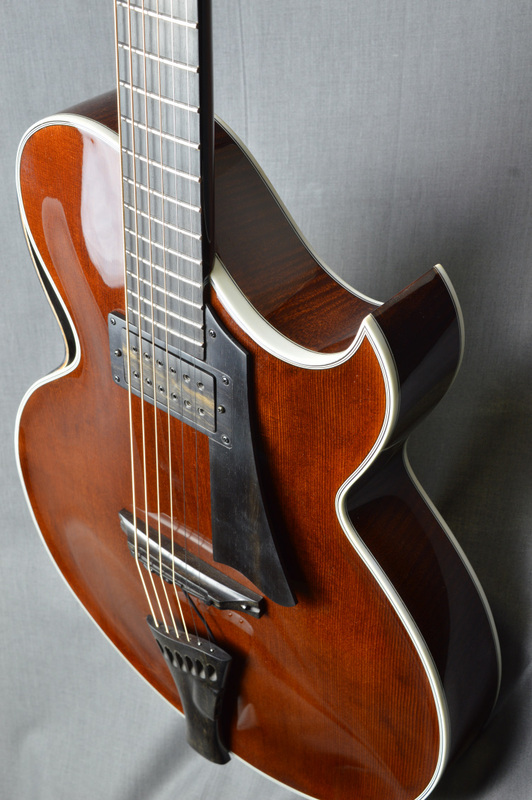 My new model Berlin-II, the summit of my technique and art as a guitarmaker! 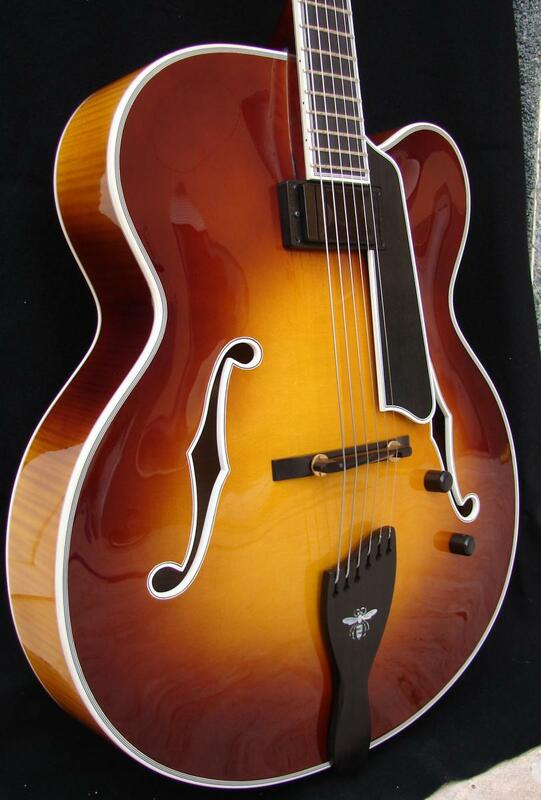 In 2015 I presented a new guitar model at the Holy Grail Guitar Show. As I usually do, I gave it the name of the city where it was being held, Berlin. 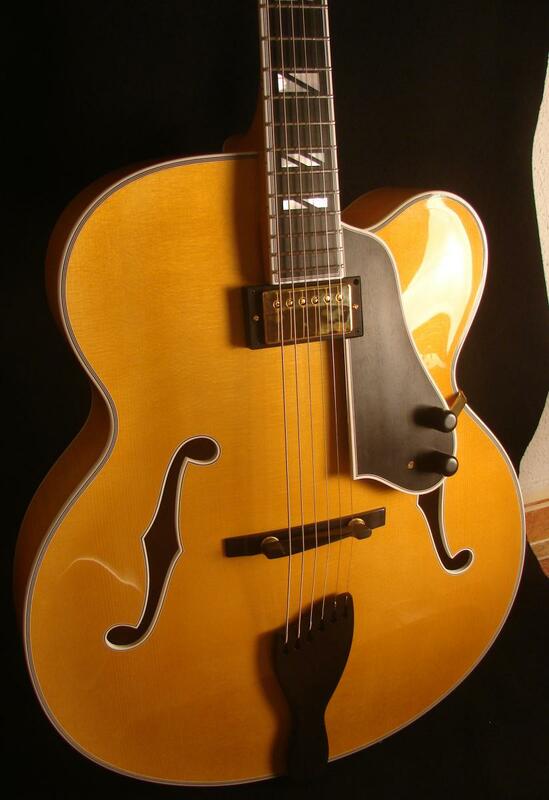 It was a guitar with a very peculiar construction, with double top and back, in other words, with Nomex honeycomb cores in both plates. 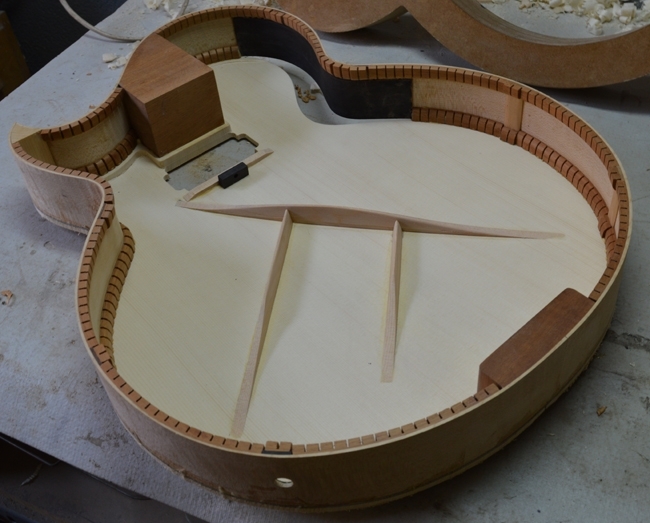 Three years later I decided to build a new model derived from it, but this time without the complication of the double construction, that limits the tuning and final graduations for both top and back. 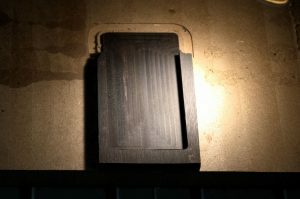 As mentioned above, I carved the plates traditionally, but I graduated them very light and responsive to extract all the acoustic tone from the small soundbox (with a width of 15 inches at the lower bout and a depth of 62 mm at the edge). 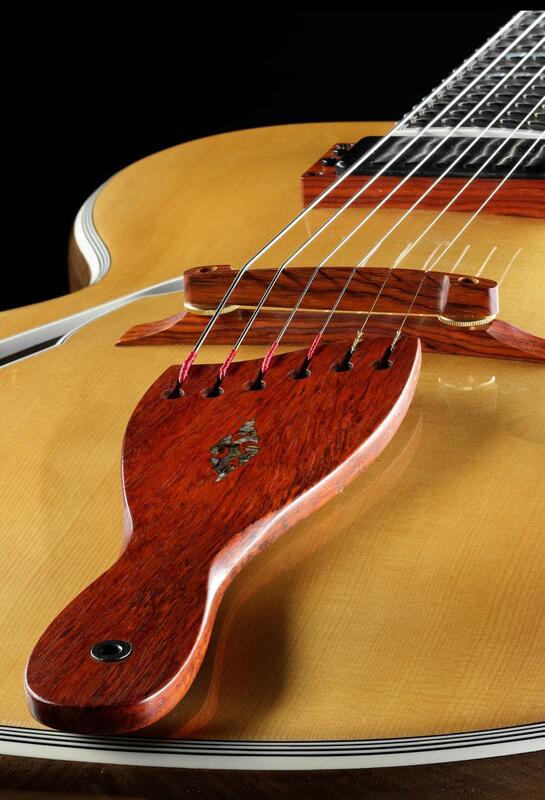 One soundhole instead of two. 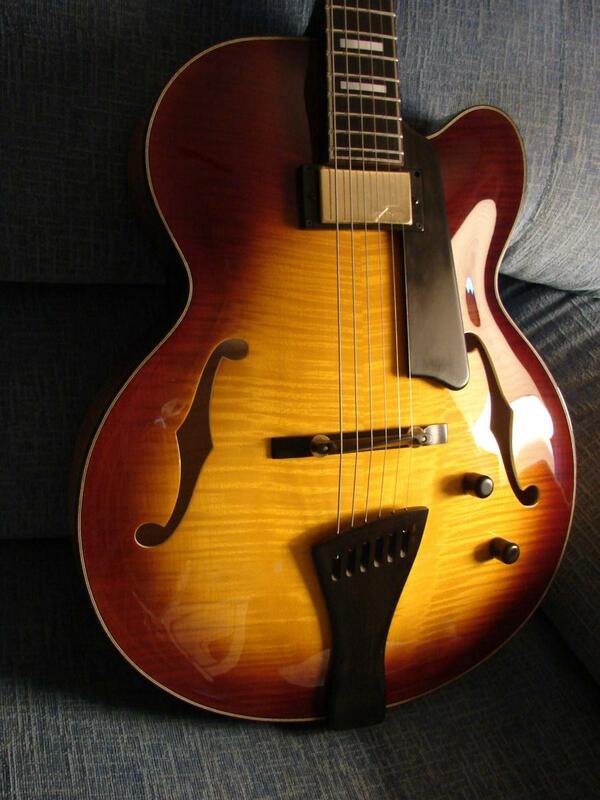 The other was a source of problems and it really didn’t add anything to the tone and projection of the guitar. 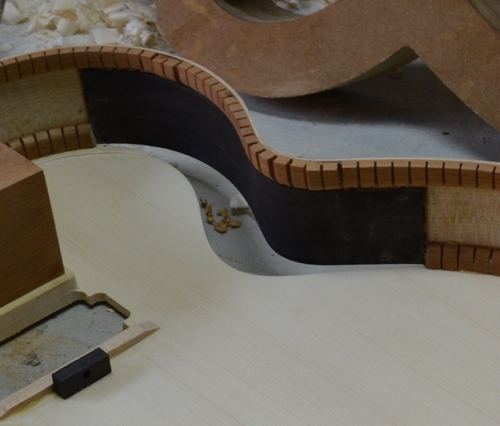 As a consequence, I designed a bracing scheme adapted to the single soundhole. I must admit that this new design doesn’t change the old one because… the original Berlin didn’t even have braces! 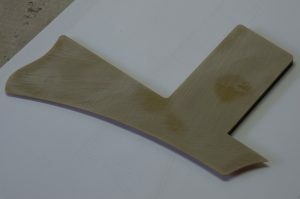 A top of a new design, with less arching to have a flatter breakthrough angle at the bridge. 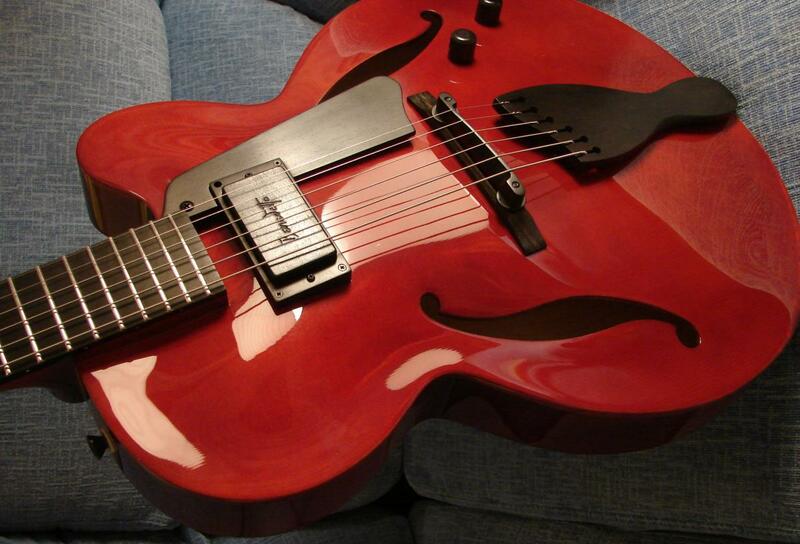 This new guitar is a low stress model, quite different from the highly stressed design of three years earlier. The back was similar for both. A AKG C411PP condenser microphone, with a standard XLR output connector next to the conventional output jack. A Type 191 pickup. I questioned my desire to install this given its excessive weight, but I couldn’t see what other pickup would give me a similar tone. 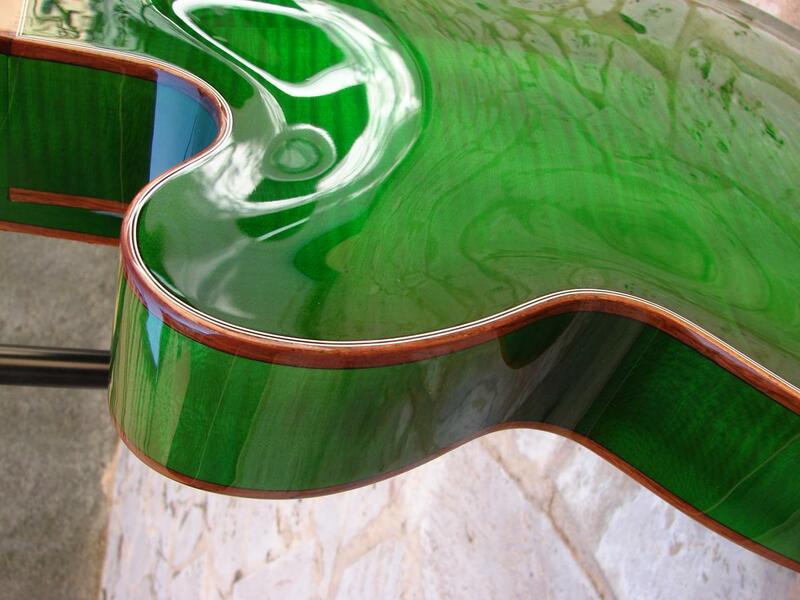 A light resonant top with such a monster resting on it must be carved very carefully to preserve the acoustics of the top, full and rich in bass tones. After hearing the result, I must say that having a top and a pickup so different but both alive and happy together is one of the highlights of my professional life. 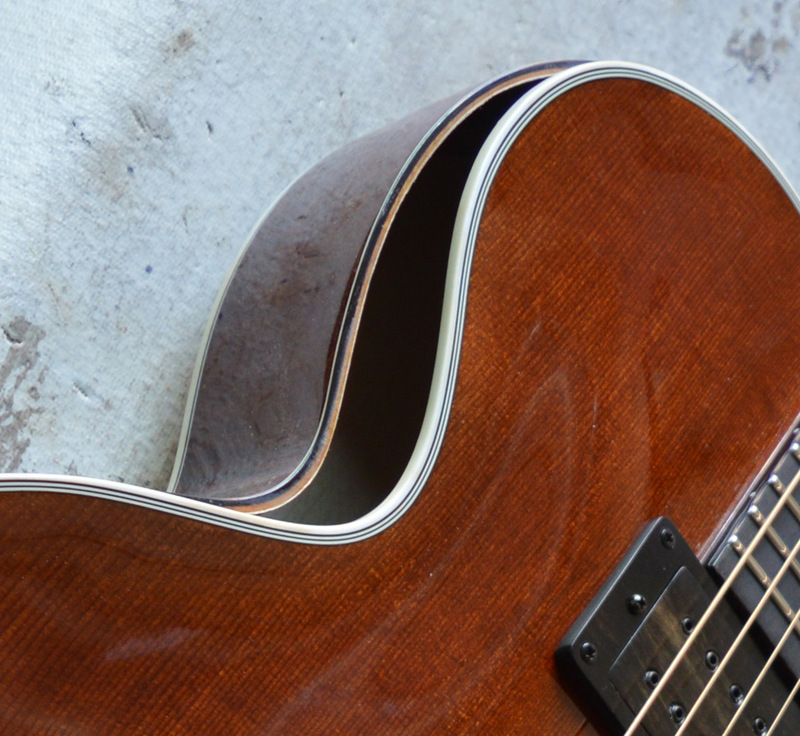 Newly designed tailpiece and pickguard, so that they blend better with the pointed cutaway. 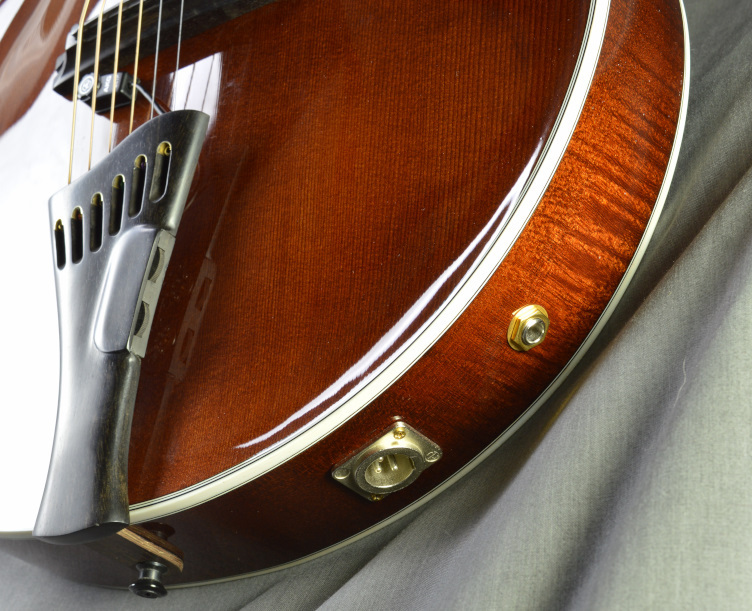 The tailpiece still has the volume and tone controls for the magnetic pickup, and it also has a tiny treble bleed circuit that I’ve learnt to appreciate recently. I also designed what I call the ringuard (marcolpeador in Spanish), a piece that combines both the pickup ring and the pickguard. From the outside, both pieces have the usual look of two separate ebony pieces, but internally they are more complex. 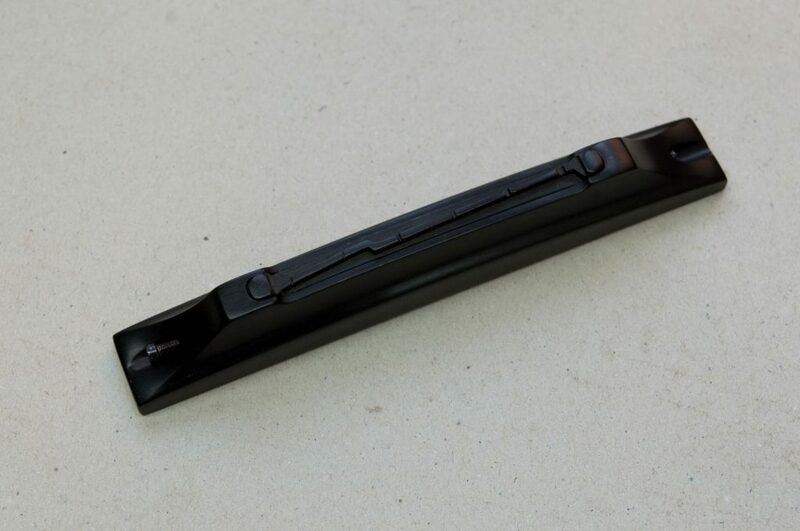 There is a third invisible ebony piece that adapts the arched top below the ring, and the three ebony pieces share a FR4 fiberglass core that supplies the strength that the thin frail ebony lacks. A Double Wedge bridge design, based on the one that I recently designed and made for another guitar. 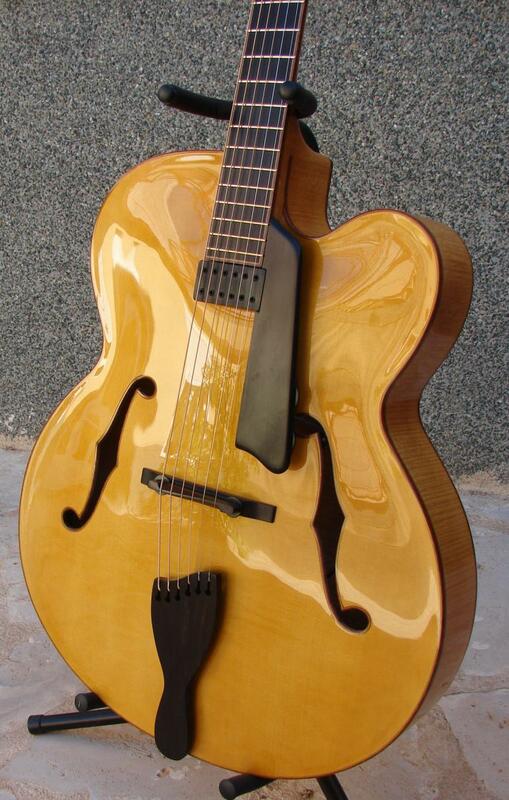 I think that the tone of this peculiar guitar takes advantage from its construction, so I’ll be using it in the future for this and other models. 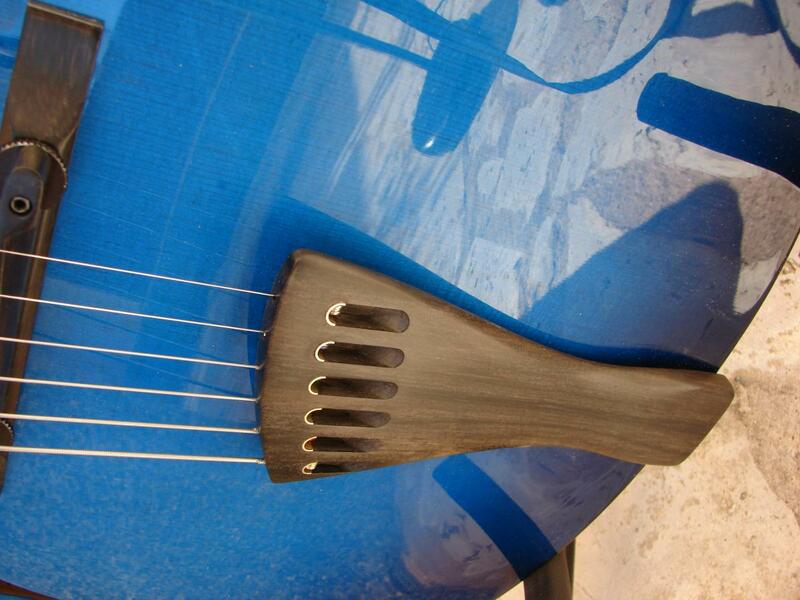 A neck with carbon fiber reinforcements below the nut. 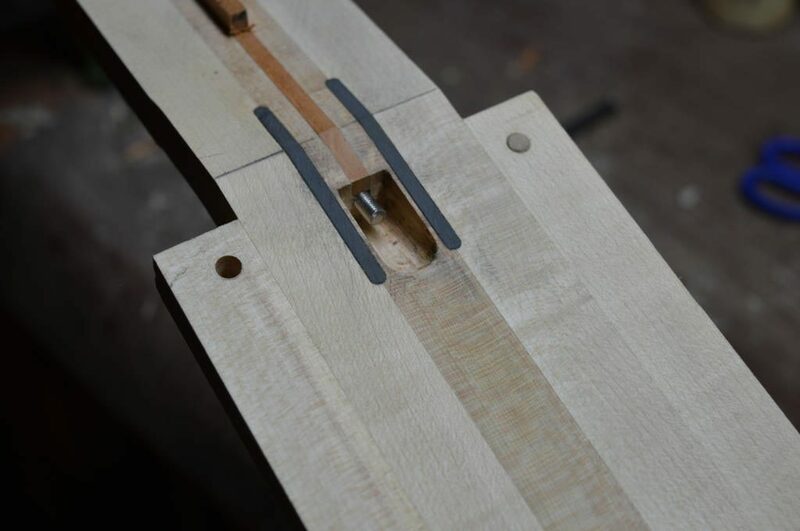 This way I can still use traditional truss rods, with their greater cavity for adjustment. Why should I want to use the old rods? Well, these compress the wood longitudinally at the back of the neck. The new double bars work by compressing one of their member rods, so they bend the neck making pressure against it, but without compressing it. In my experience, a compressed neck is fundamental to the tone of the guitar. While I was reviewing this list, I realized that I had to mention the different approach that I have making guitars, especially when I compare myself with factories. I don’t buy my tailpieces, and making them takes me many hours, more than I am willing to admit. It would be so easy to buy one and take it from the mailbox instead! And what about the bridge? I would get less headaches if I made them as usual, even buying them already made instead of spending so many hours materializing a new idea, and I don’t mention the time that it takes to make something so complex in wood, the many hours of tiny adjustments to their parts, the discarded prototypes… And the ringuard? I don’t know if someone is making something like this, but I see it as necessary and logical. 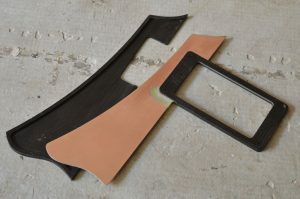 I don’t care if, instead of installing two pieces easily available from any major supplier, I spend many hours making each one with the only objective that it is more robust than any other while, at the same time, it is made of fragile ebony and looks as great as any solid ebony pickguard + pickup ring. 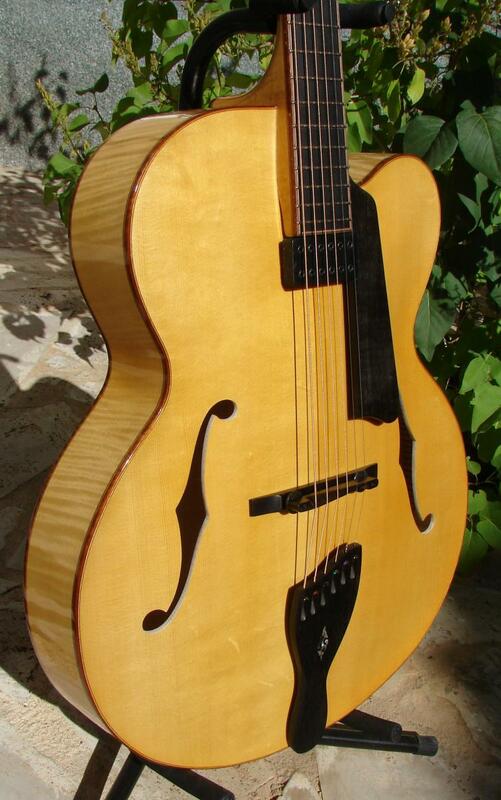 And when it comes to the pickup, yes, I could install one of those boutique pickups. Or I could make one myself, buying the pieces from a major supplier and simply winding it, in the end having a clone of who knows what. I decided years ago to make my own pickups, and I’ve been reaping the benefits lately. 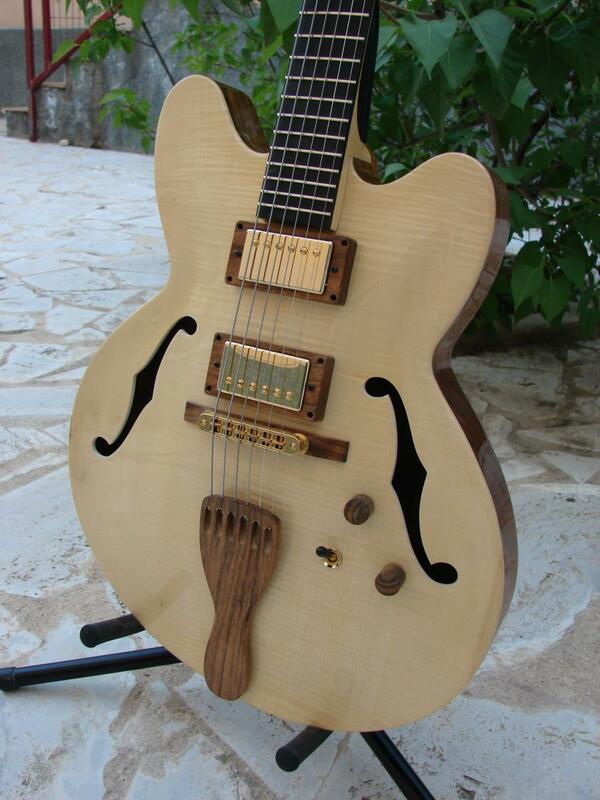 Ultimately, everything in this guitar speaks of my philosophy as a guitar maker. 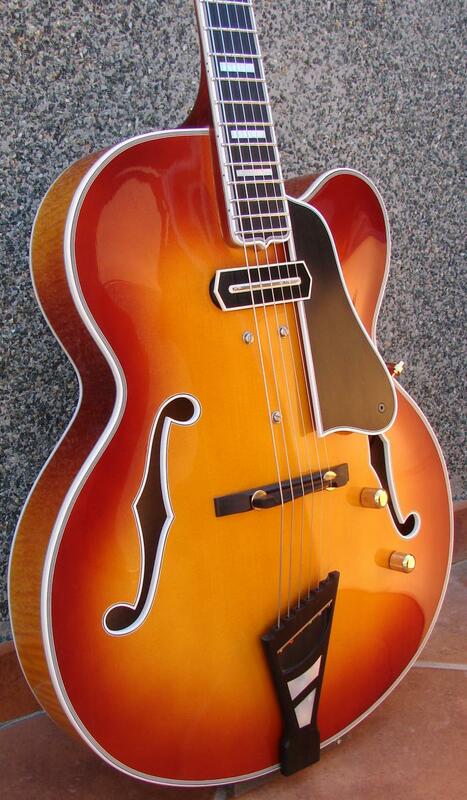 Its amazing tone, acoustic and electric, is just the tip of the iceberg of the work, experience and, in short, love that I put on it. 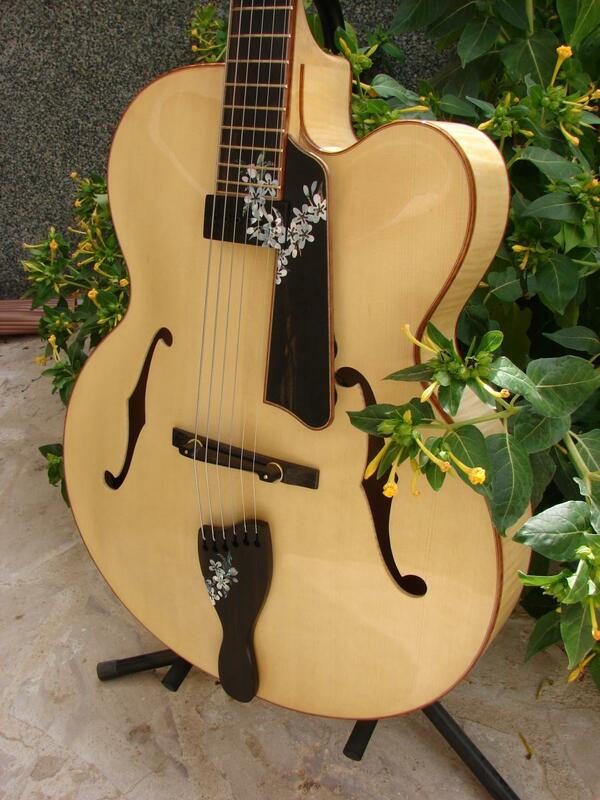 It represents the summit of my work as a guitarmaker. And the best news for you is that, very probably, you can afford it! 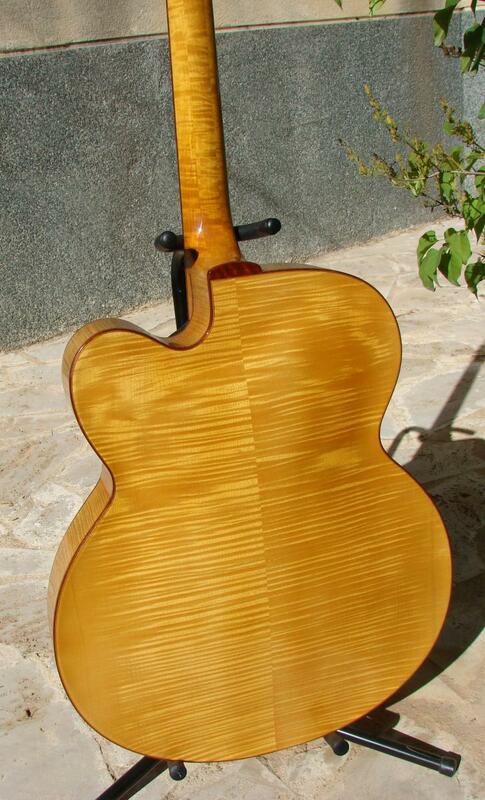 Curly Maple carved back and sides. Depth at edge: 62 mm (2 7/16"). 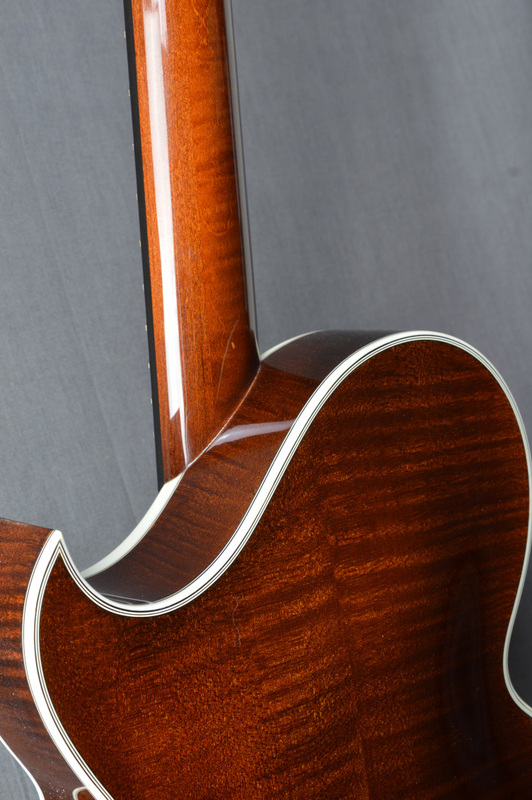 The very light bracing is adapted to the position of the soundhole. 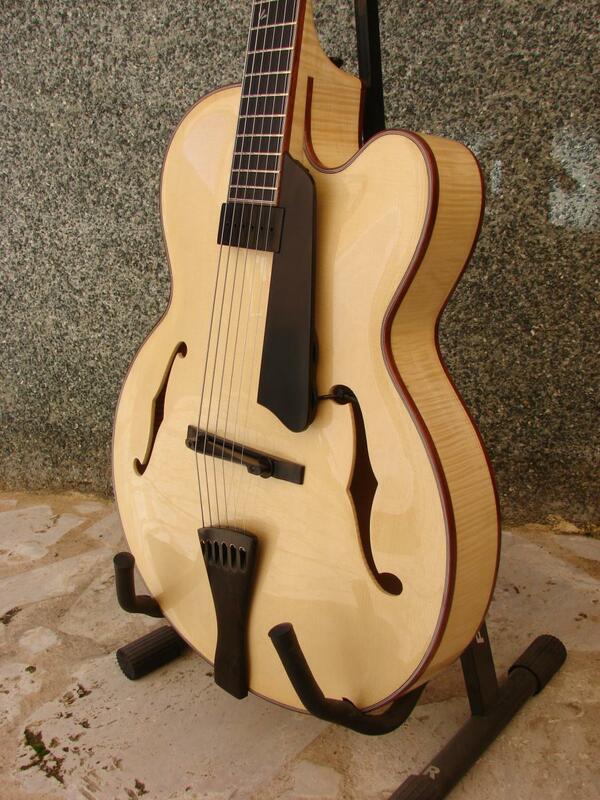 A significant part of the amazing tone of this guitar is here, in the peculiar shape and countour of these elements. 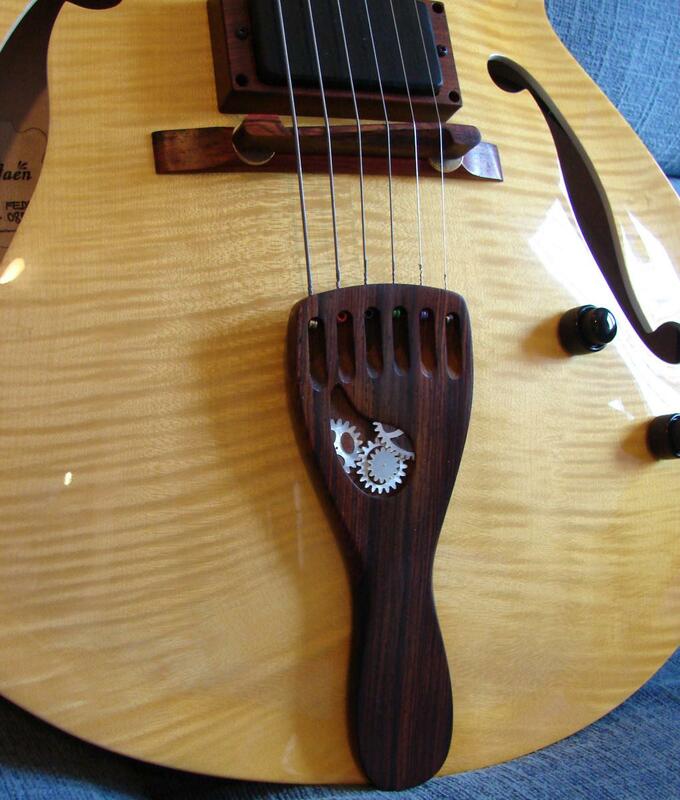 European Curly Maple neck, with a scale length of 25.5″ (648 mm). The bone nut has a width of 1 11/16″ (43 mm). 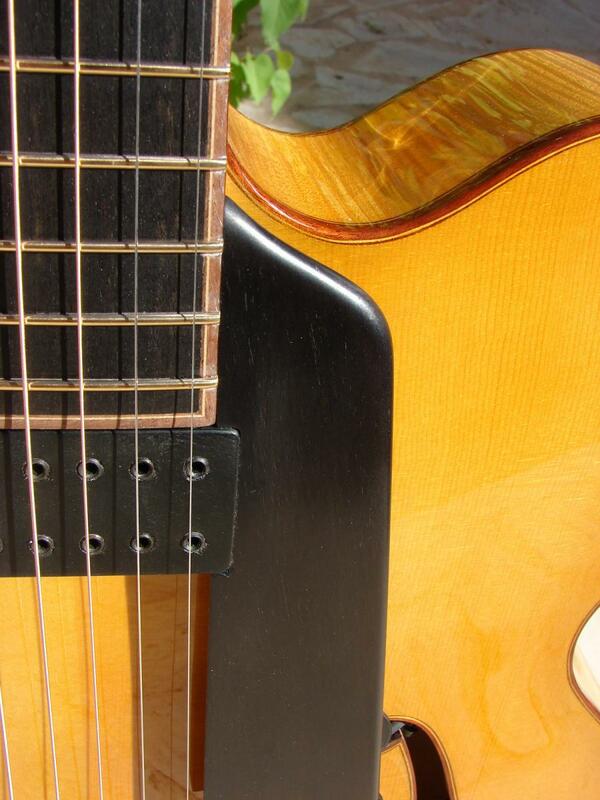 The fretboard is ebony, with stainless steel Jescar 47104SS frets. 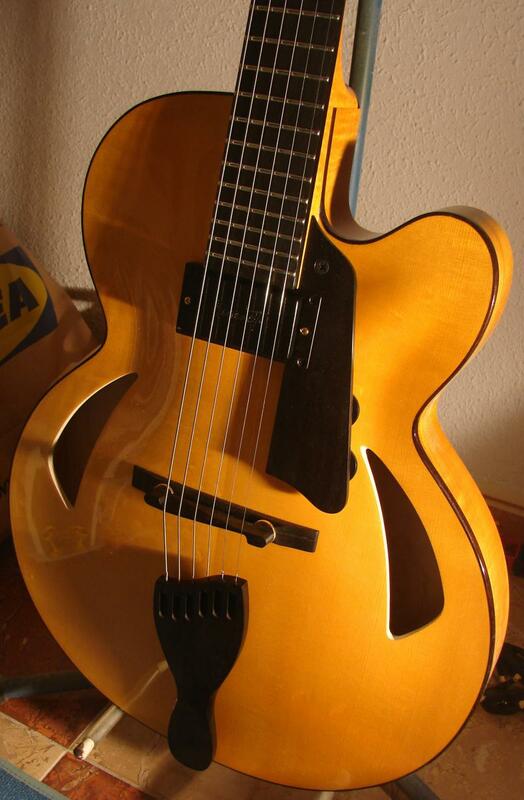 It is glued directly to the top, so it doesn't have the extension that is the norm for archtop guitars. Many players coming from other types of guitar (electric or flat top acoustic) will feel more comfortable with this construction. The back of the neck is peculiar also, because it doesn't have a heel. 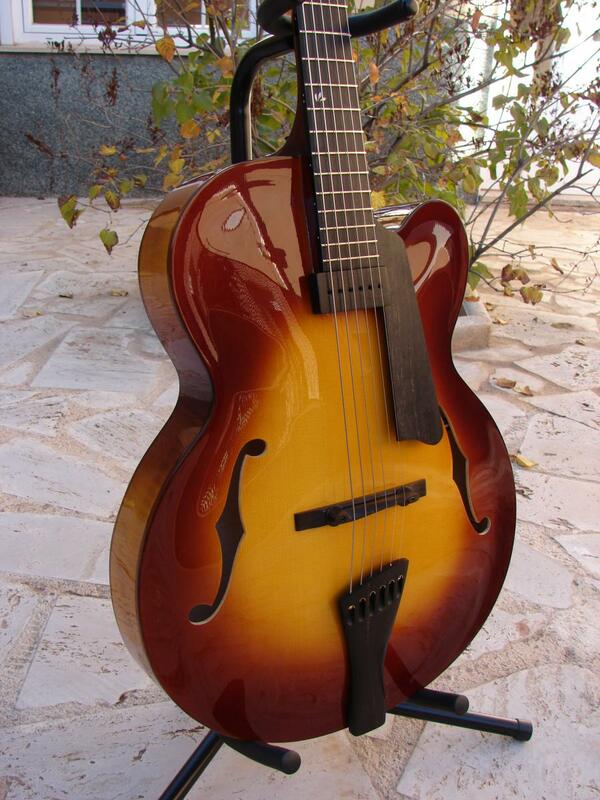 This, together with the shape of the soundbox and the wide cutaway, makes it a very easily accessible guitar. 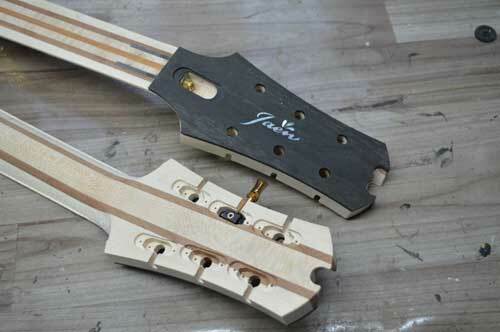 There are two carbon fiber reinforcements at both sides of the truss rod. The bigger cavity size that traditional rods need makes this a vulnerable area, but the reinforcements make it much safer. In fact, much safer than designs with smaller cavities. AKGC411PP condenser microphone, without the typical tone of piezos that I don't like. Pointed (or florentine, as this design is also known) cutaway. 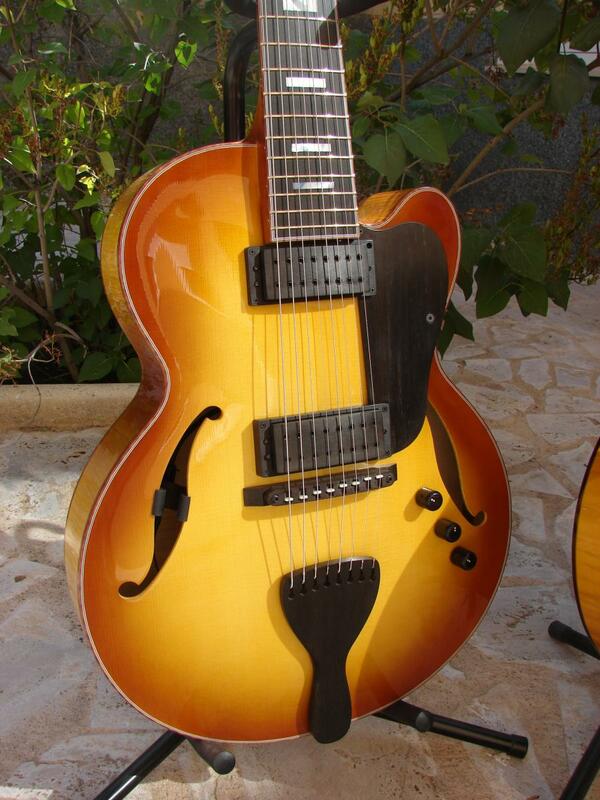 The pickguard and tailpiece follow a similar design, and are exclusive of this model. 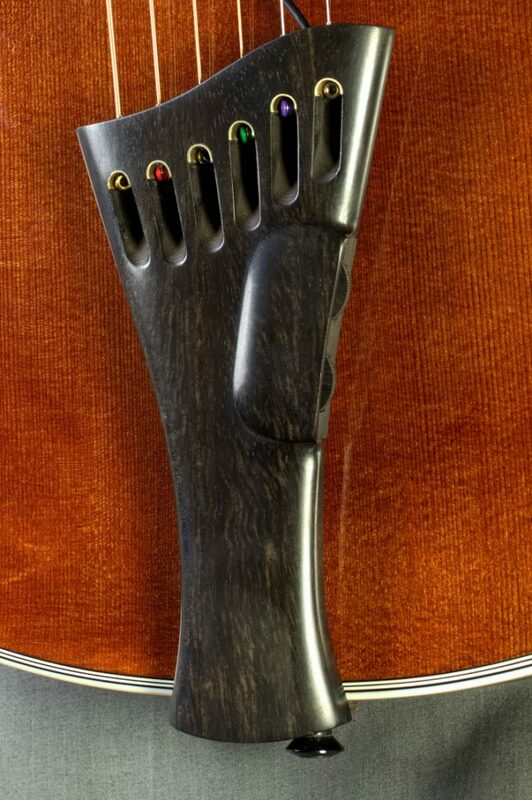 Ebony tailpiece, designed exclusively for this model, with a reliable string grounding system. 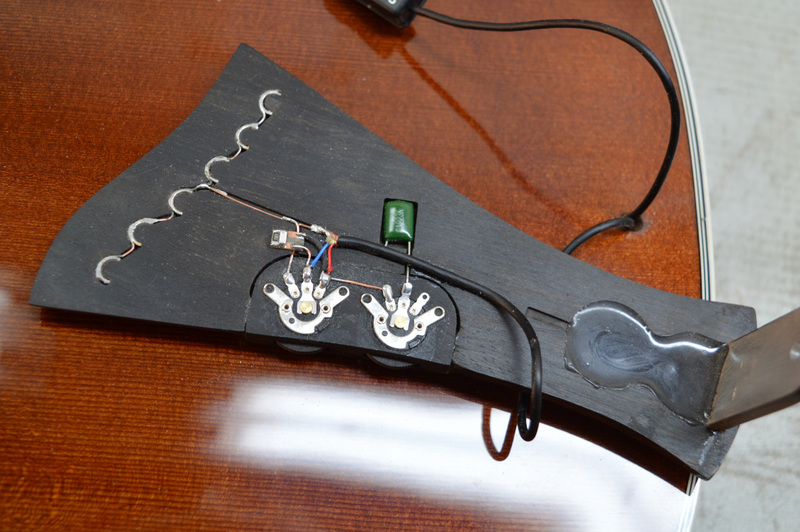 It integrates the volume and tone controls for the magnetic pickup. 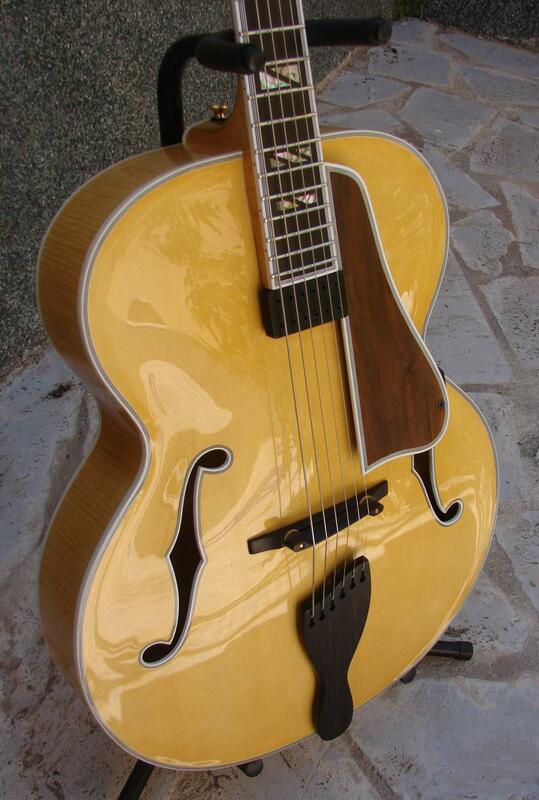 The bridge in this guitar is very special. It is very low, but its height can be adjusted. Its design departs, even if it doesn't appear to be the case, from D'Aquisto's wedge/stick. If you want to understand how it works, read this. The condenser microphone is connected through a standard XLR connector. 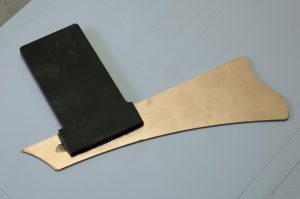 The magnetic pickup, through a standard 1/4" jack. 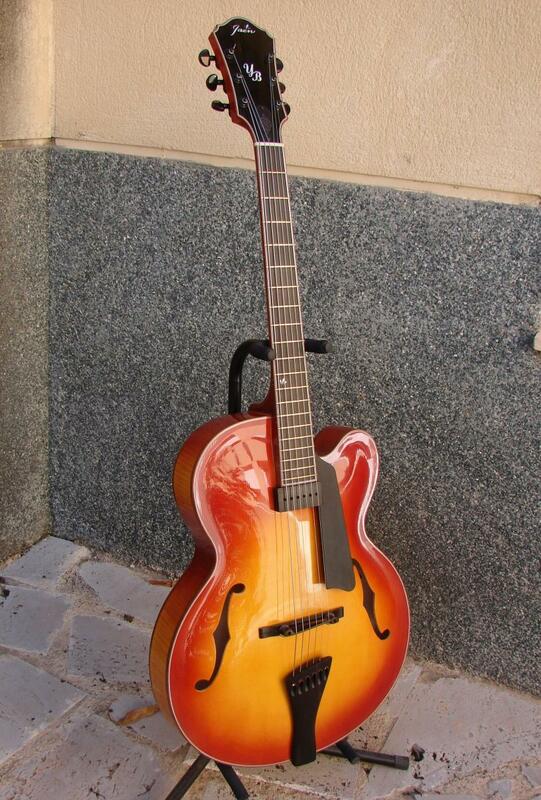 This guitar is ideal for using it with amplifiers like the Henriksen The Bud, that has two independent channels and can supply phantom power for the microphone. 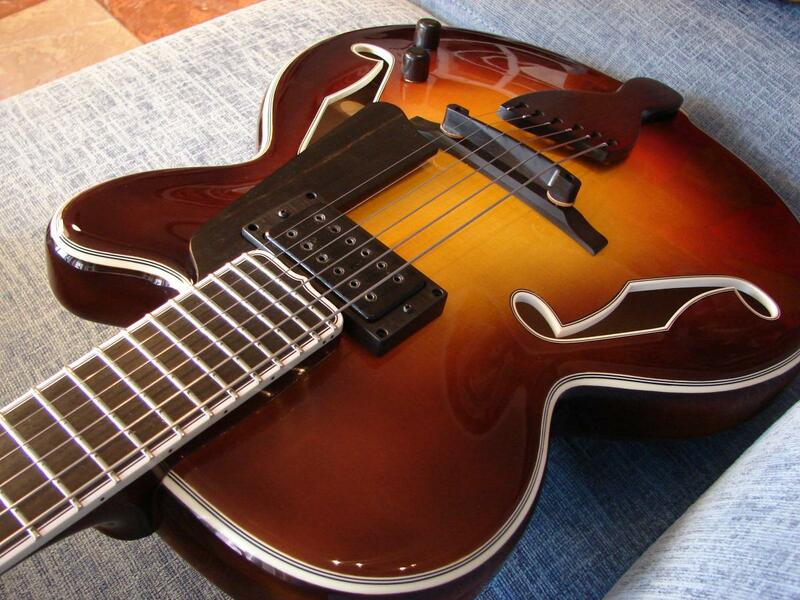 This guitar has a very special pickup. It is wound with AWG38, a very thick wire, so its DC resistance is extremely low, about 3.5 KOhms. However, its inductance is around 4.9 H, so it is far from having the trebly brittle tone that this parameter suggests. That's a lesson for all those that take that measurement as something significant by itself. If you want to know more about it, look here. 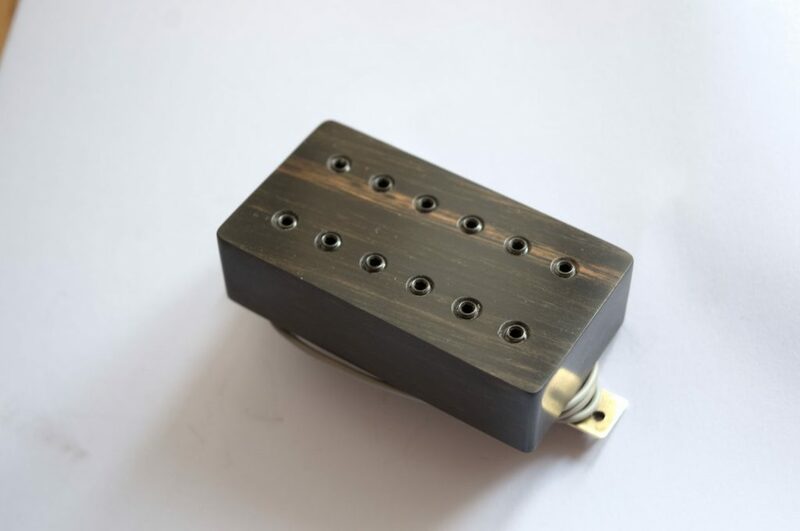 An interesting characteristic of the pickup ring is that, given its little thickness and the fragile ebony wood from which it is built, it has to be reinforced with a fiberglass core. It can't be seen from the outside, but the effect of this core in the strength of the pickup ring is like night and day. It is shared by the ring and the guard, made from three pieces of ebony, so the combination (which I call ringuard, or marcolpeador in Spanish) is extremely strong. It is a lot of work, but the result is well worth the effort! 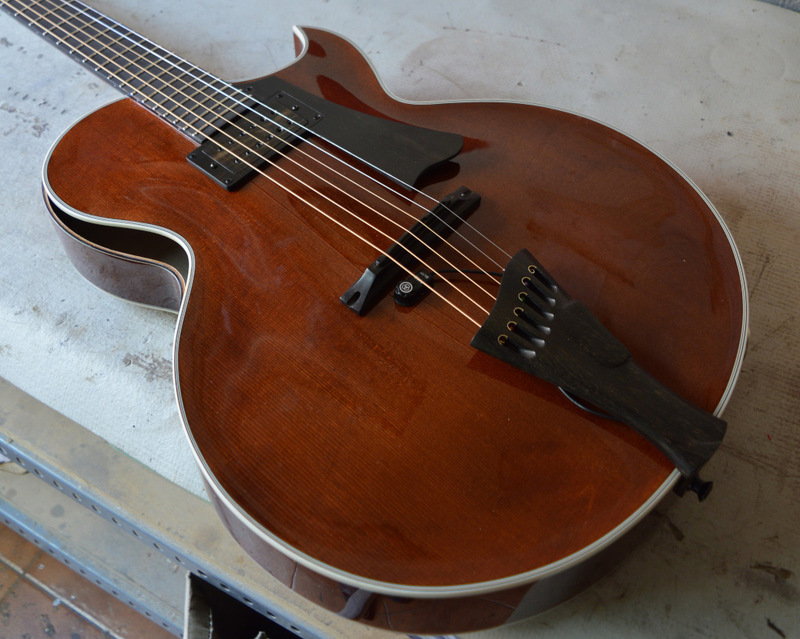 Nitrocellulose finish (Votteler), old violin color.